Sometimes, things just work out for the best. Due to some poor planning misinformation I was given, we had to leave Indonesia mid-way through our trip to renew our visa. We spontaneously flew to Bangkok because we have some expat friends that live there. Luckily, we arrived the day before Loy Krathong, a major Thai festival. This unplanned excursion happened to be a highlight of our trip because we got to experience the festival, and Bangkok in general, with locals. Although I am free of sin, I floated this krathong down a river as a symbolic gesture. 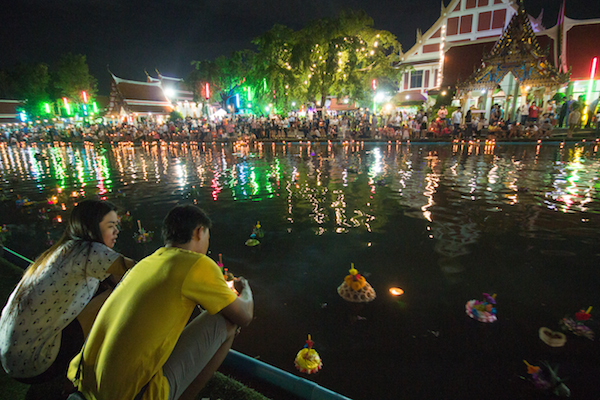 You may have seen photos of Loy Krathong where flaming lantern float off into the night sky. This is terribly photogenic and beautiful, but comes with the slight negative that the lanterns have a habit of landing on crops and houses, causing dangerous fires. In Bangkok, the lanterns are officially banned and it was strictly enforced. Most people in Bangkok light a candle on top of a “krathong” and float it down the river, canal or pond, making a wish and praying as they do so. The krathong takes away their sins. It is a lively festival, with food stalls, light, fire and fun. Some people were praying as they released their krathongs, but most people were busy with selfies and taking photos of friends. We went to a wat in a neighborhood in Min Biri and we were the only farang there. Although it would be cool to see the flying lanterns in Chang Mai, seeing the festival in a tourist-free area was very special. 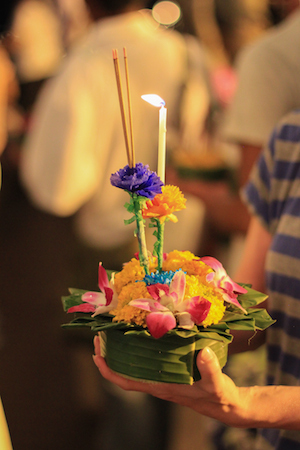 Taking photos of the krathongs seemed more important that prayer for most people. Kristi and I posed for the sculptor. Food stalls at Loy Krathong. Thai girl at Loy Krathong. Our friends and three beautiful daughters live in Bangkok and took us to some non-touristy places for the festival. People give alms and pray with monks on the street on the morning of Loy Krathong. I liked you better when your photography wasn’t as good and I wasn’t as jealous of your pics….. Which is a twisted way of saying – nice shots! Super festivity, I ‘d saw a report on TV !! Thank you Pat. It was a really beautiful festival. Awesome pictures .. I am envious! Sometimes when things don’t go right while traveling it turns out to create a spectacular opportunity. Lovely photos as always Jeff. Sue, you are right. 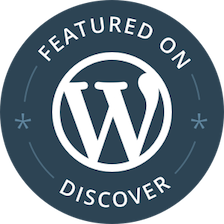 The unexpected things are often the highlights. A bummer about your visas, but what a sliver lining! Lovely festival. Yes, it all worked out in the end.